Gov. 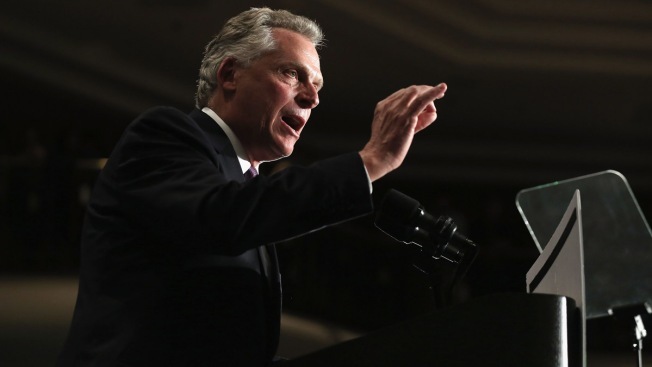 Terry McAuliffe wants lawmakers to give him the authority to expand Medicaid eligibility on his own if a state commission doesn't act by the end of the 2014 legislative session. The Democratic governor has made expanding the publicly funded health insurance program for the poor and disabled to an additional 400,000 Virginians a top issue for his new administration. But the proposal is staunchly opposed by Republicans in the GOP-controlled House. McAuliffe also announced at a Capitol news conference Monday other changes to his predecessor's proposed budget. Those changes include an additional $3 million for the state police to spend on police vehicles and aircraft. McAuliffe's proposed budget amendments would also include an additional $5.4 million for school districts in northern Virginia to pay support staff.